Many of our family functions centered around the kitchen and great meals. 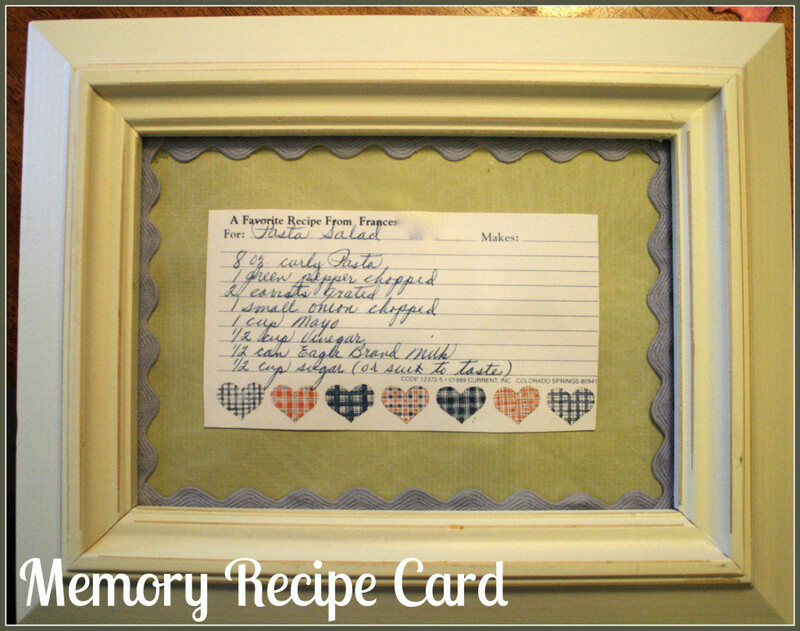 A great way to display a memory of a grandmother or even grandfather is to create a framed handwritten recipe card for your kitchen. I saw this online months ago in a grouping of three frames. I decided to create this for my Mother to hang in her kitchen so I used a recipe from her mother and one from me. I plan to also get one of her recipes and create a third frame to have three generations of cooks represented in her kitchen. These are very easy to do and the creative options or unlimited. 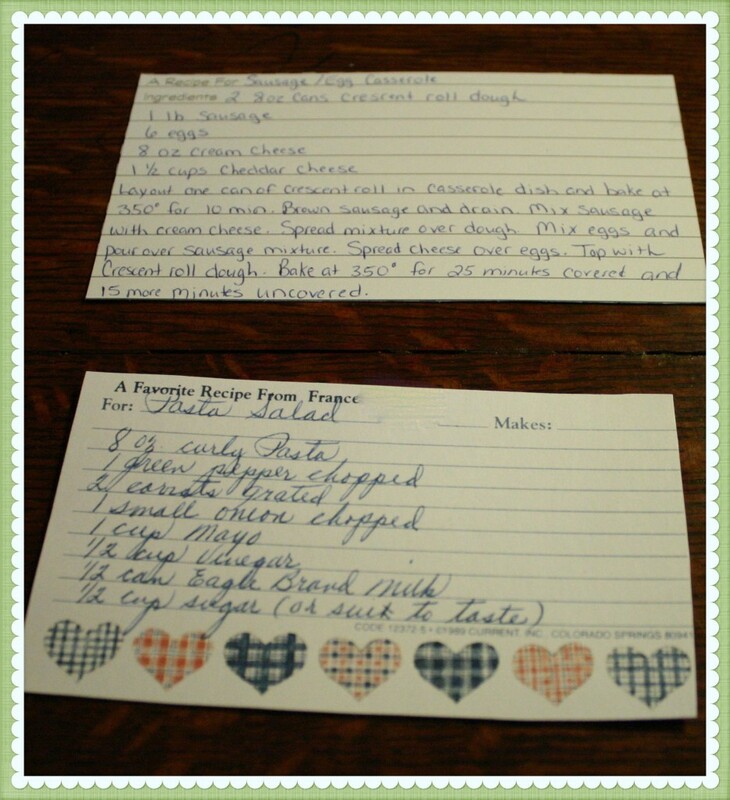 I started out by picking two recipes that I wanted to frame, one from my grandmother and one in my handwriting. I then picked up some inexpensive 5×7 frames at a local craft store. I picked the frames to work well in my Mom’s kitchen. 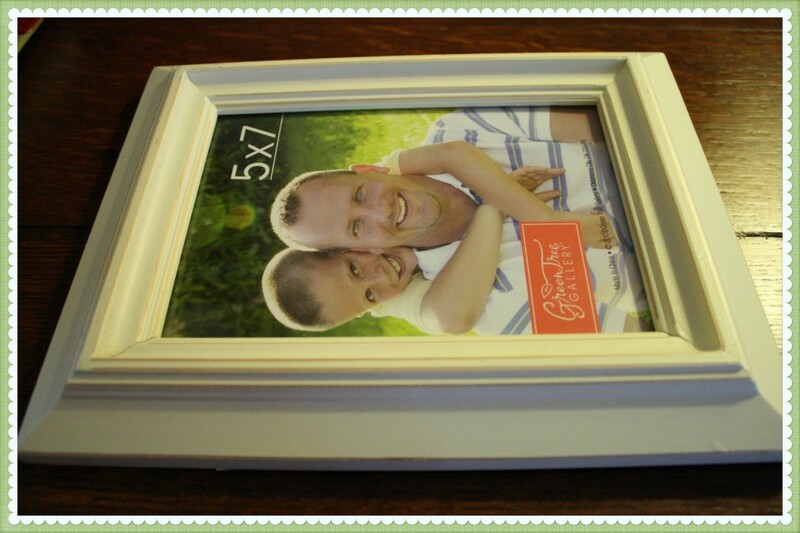 You could even go with unpainted wood frames that you customize with paint or fabric. 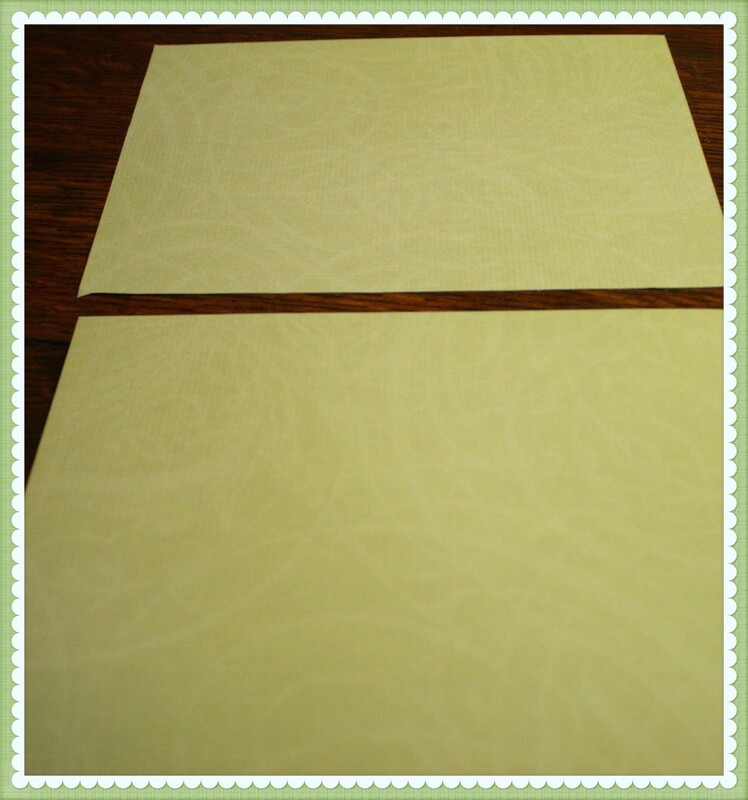 I then found some scrapbook paper that would work with the decor where the frames would be hung. I used the piece of paper inside the frame to cut my scrapbook paper to the correct size. I then decided to add some embellishment to the paper to add a little more to the paper since it was somewhat plain. After the embellishment was attached using glue to the paper, I let that dry and then attached the recipes using a scrapbooking glue. I let these sit overnight to ensure they were good and dry prior to putting them in to the frames. This is a finished frame and you can either hang them with the included hardware or you can grab some pretty wide ribbon and attach that to the frame to hang them on the wall. 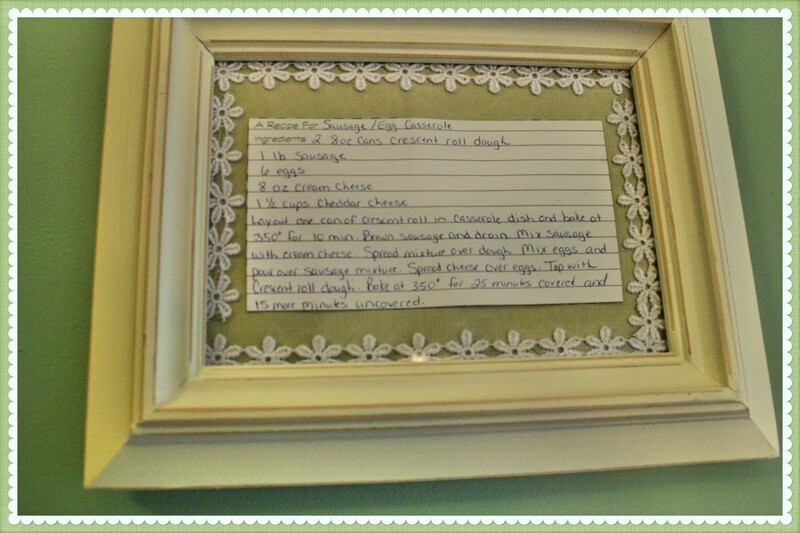 My Mom will always have a handwritten recipe from her Mom and from her Daughter hanging in her kitchen. I really love this idea….and I am going to do this! I really like this idea! I have one of my mom’s recipes that I would like to give to her brother!